"I don’t know what happened to my computer or what happened to my Cyberlink Youcam software. I lost all my Youcam videos. I can’t find them anywhere at all. I want them back. Can anyone help please?" Many people ask this same question on the internet – "how to recover videos from Cyberlink Youcam or how to recover deleted Youcam videos?" Webcam videos are really important to all of us because we record so many memories or important discussions via or webcam. Cyberlink Youcam videos are same important as any of our webcam videos. Accidentally deleting or losing those videos may cause a lot of problem for you. 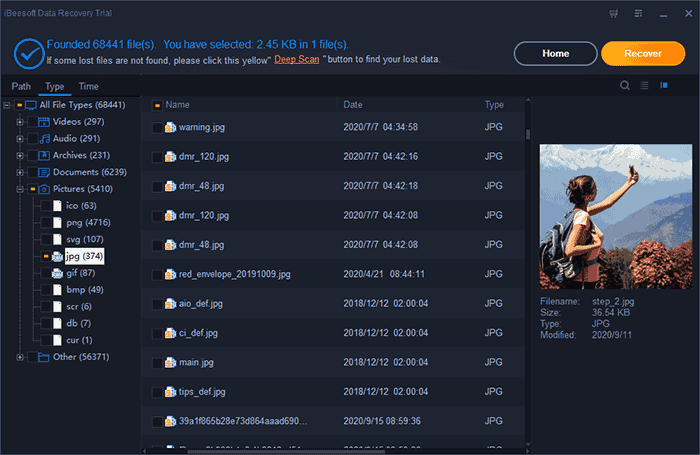 So if you don’t know how to recover deleted files from Youcam, then this article can be a big help without any question. By reading this article you will be able to recover deleted Youcam videos by using the best tool on the internet in no time. So without worrying too much, read this article properly, follow the guideline and you’ll be able to solve your problems easily. There are various possible reasons for losing or deleting Cyberlink Youcam videos. Though it’s really easy to recover deleted Youcam videos, you really need to know the reasons that are causing this problem. Here are some of the common ones. Accidental deletion of Cyberlink Youcam videos. Doing a factory reset of your device. Uninstalling Youcam perfect app accidentally. Any kind of Virus or malware attack. Clicking photos even when your laptop’s battery is low etc. There are a lot of ways to recover deleted Cyberlink Youcam videos, but iBeesoft Data Recovery tool is the best Youcam video recovery solution that can give you a guaranteed 100% successful result. This one of a kind software will help you to recover deleted Youcam videos in your computer within a very short time. It doesn’t matter if you really don’t know how to recover deleted files from Youcam. 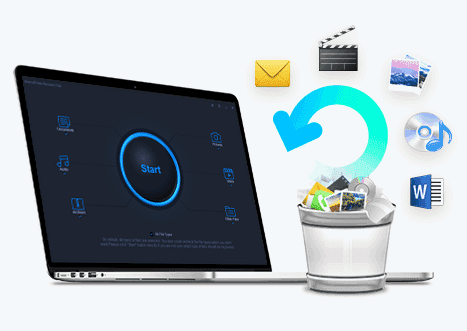 All you need to do is follow the guideline from this part and use iBeesoft Data Recovery tool to recover deleted videos from your Cyberlink Youcam. It supports almost all video formats, such as AVI, RM/RMVB, MP4, MOV, M4V, MEPG, 3GP, 3G2, WMV, ASF, FLV, DMV, SWF, MPG and more. This program offers two powerful scan modes to help you completely recover deleted Cyberlink Youcam videos. Fully compatible recover deleted videos from memory card, USB drive, hard drive/partition, external hard disk etc under Windows 10/7/8/XP/Vista or Mac OS X 10.6 and later. Here is how to recover videos from Cyberlink Youcam by using this amazing software. Download and install the recover youcam video recovery software on your computer. Step 1. After starting the reliable Windows or Mac data recovery software, select the data that you want to scan from your computer. Here, as you want to recover deleted Youcam videos, just choose "Videos" and deselect any other option. 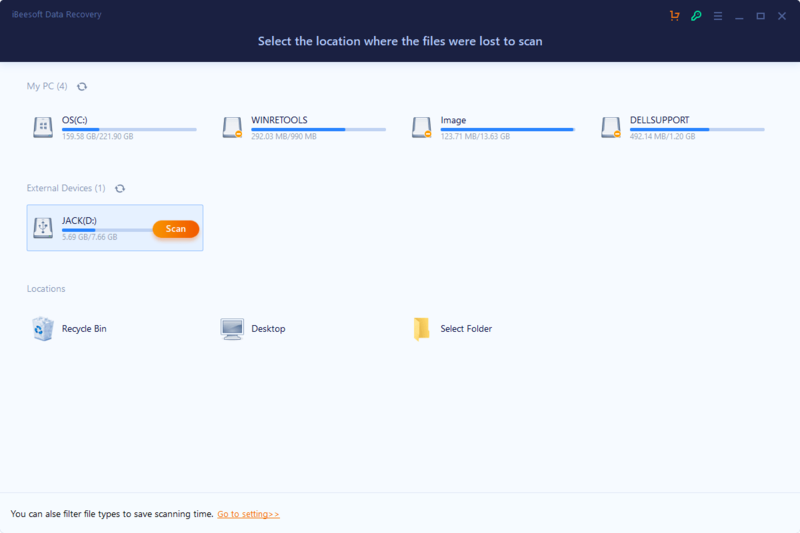 Then you need to click on the "Start" button to recover deleted files from Youcam. Step 2. After that, you will get a list of drives from your computer on the software interface. You need to select the one that contains your Youcam videos and click on the "Scan" button to go to the next step. The software will scan the computer drive that you have selected and display all the data after the scanning process in finished. From there you need to check your Youcam videos from the left side menu and select the videos you want to recover. Finally, you need to click on the "Recover" button from the top right corner of your screen to start the data recovering process. Keep patience and wait for some time till the recovery process completes. The time depends on the file size that you are recovering. Within a very short time, all your Youcam videos will be recovered on your computer. You can use them for future purposes any time now. Many users don’t know where are Cyberlink Youcam videos are saved. It’s really easy to find them when you have a proper guideline to follow. Here is how you can find the default location of your Cyberlink Youcam videos. First, you need to search for "Youcam" folder by using the Windows search option. Then you need to open the Youcam folder to proceed. Now, double click on the Youcam video that you want to open. Finally, the video will display in the viewing window immediately. Turning on Cyberlink Youcam is really easy and there is nothing much you need to do actually. For different Youcam versions, the enabling process may vary but this below guideline is for the latest version. First, you need to search for "Youcam" folder by using the Windows search option. You can also click the Youcam icon on your desktop to launch it. If you can’t find Youcam in the list of search results, you need to download and install the latest version of the software from the Cyberlink Youcam official website. When the application opens, the webcam image will display on your screen immediately. This article will help you the most to learn how to recover videos from Cyberlink Youcam. There is really nothing much or nothing complicated here. You already know the best tool that can help you to recover deleted Youcam videos is iBeesoft data recovery software. So all you need to do is follow the guideline from this article to recover all the Youcam videos that you have lost from your computer.